LEGO Finally Releases An Official Minifig Flash Drive | OhGizmo! 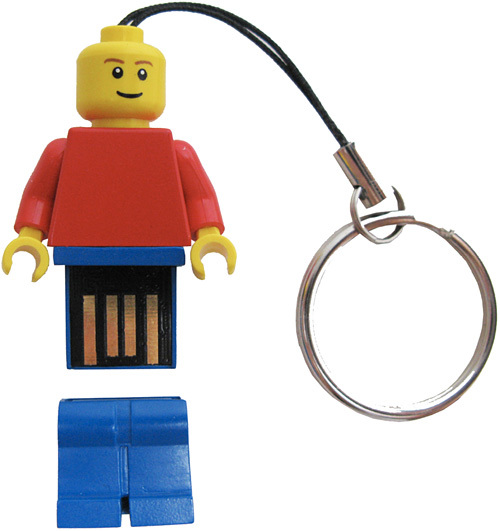 We’ve written about plenty of unofficial LEGO flash drives over the years, but the company has finally come to their senses and realized that these days a few extra gigs of novelty storage on your keychain is far more useful than an LED flashlight. At the moment they’re a little disappointing with just 2GBs of storage for ~$27, and they’ve used the most generic minifig in their catalog, but hopefully future versions will see members of their Star Wars family get converted, plus a little more storage would be nice too. This Minifig Flash Drive looks impressive with some adorable outlook and having some wonderful features as well..